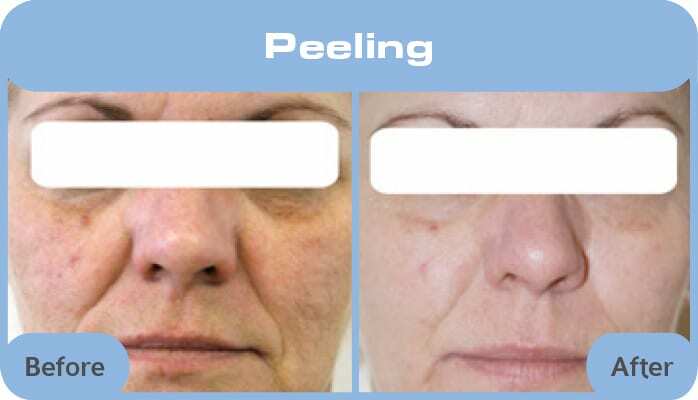 Chemical peels partially or fully remove the stratum corneum. 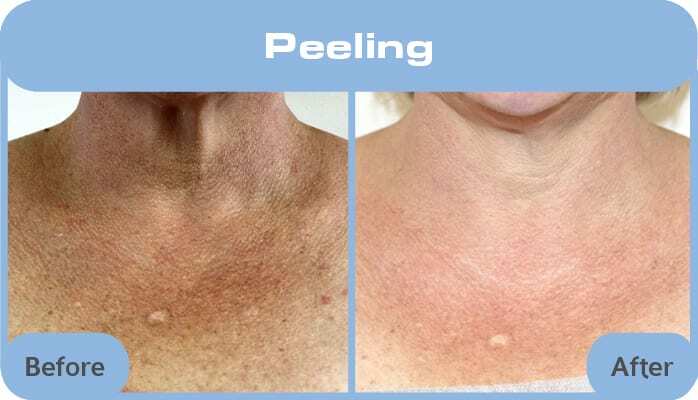 Superficial chemical peels performed safely by a Skin Care Professional, DermaFix peels in contrast to medium and deep peels, require little or no down time for the client producing visible results. Ageing – photo damaged skins. Peeling works to encourage cellular renewal and improves skin texture. Acne congestion – works to encourage deep-cleansing of follicles and removes dead skin cell build-up. 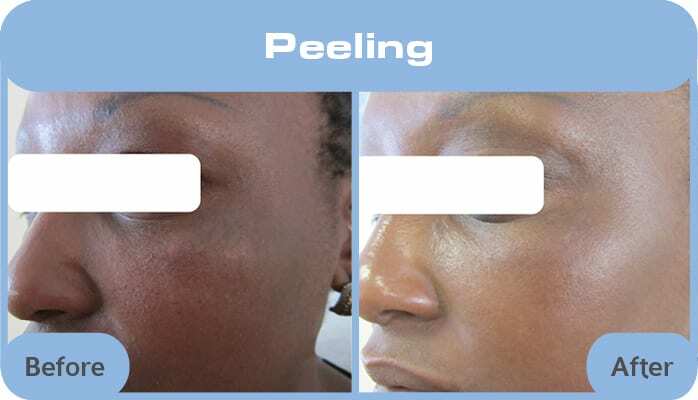 Hyperpigmentation – Peeling used in conjunction with various selected protocols to improve hyperpigmentation. Lightly scarred or stretch marked skin – Peeling encourages cell renewal and a ‘lift off’ of damaged skin cells. Comparative Percentages: In the marketplace, percentages of actives and ingredients in Skin Care products are often an area of concern. It is common in the field as competitive as Skin Care to get into contests of “key” ingredients and “highest” percentages of actives. At DermaFix, we adhere to strict standards and protocols established by the scientific community that are employed when formulating an effective product. Our products contain the correct balance of ingredients using scientific instrumentation to deliver efficacious and visible results. We encourage our representatives to be educators rather than attempting to be scientific formulating chemists when the subject of comparative percentages arises.